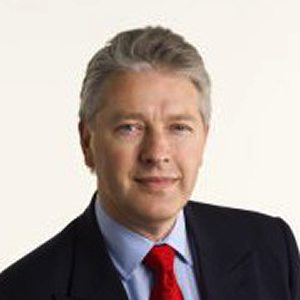 Christopher D. Clack is the Founder and initial Director (2007-2012) of the Financial Computing MSc Programme at UCL, leading a partnership with four multinational investment banks. He also founded the Thomson-Reuters Laboratory at UCL, the UCL Financial Stability Research Forum, and the independent government-funded Financial Services Knowledge Transfer Network. One of his research areas is Smart Contracts. He has been working with Barclays Bank on the concept of Smart Contract Templates, linked to high-value OTC derivatives transactions. This work has most recently been presented at the Third R3 Smart Contract Templates Summit, and has received media interest. He has over 25 years experience as a specialist consultant to blue-chip clients such as Accenture, Clearstream, CrestCo, LloydsTSB, Morgan Stanley and Thomson Reuters at all levels of Financial Services Technology from payment and settlement systems to algorithmic trading and investment. In 2009 he was awarded the Doctor of Science (ScD) by the University of Cambridge (their highest degree for science). Frontiers in Blockchain publishes rigorously peer-reviewed research covering all theory and applications of blockchain and blockchain-related technologies. Field Chief Editors Christopher Clack at UCL and Olinga Ta’eed at the Centre for Citizenship, Enterprise and Governance are supported by an outstanding Editorial Board of international experts. This multidisciplinary open-access journal is at the forefront of disseminating and communicating scientific knowledge and impactful discoveries to researchers, academics, practitioners and the public worldwide. Blockchain and distributed-ledger technologies enable new modes of communication, synchronisation, and transfer of value with broad impact for society, industry, commerce and government. The research required to realise the potential impact is substantial and crosses many disciplines. In terms of technical sciences these include cryptology, distributed systems, law, formal methods, code verification and validation, software and systems metrics. The broader agendas will also be covered including economics, finance, business, cryptocurrrencies, tokenomics, governance, social innovation and philosophical treatise. As the field is growing fast, we seek to adapt to the changing research landscape, integrate and cross-link studies and citations in related subfields, and provide an overview of the state-of-the-art in these fields and the ways in which they complement each other. Frontiers in Blockchain aims to accept original and high-quality submissions from academia and industry, including theoretical, computational, and experimental research and development, applications, case studies and position papers. Invited panellist. Appearing with Ciaran McGonagle, Assistant General Counsel, ISDA; Scott Farell, Partner, King & Wood Mallesons; Charles Post, Managing Counsel & Director, BNY Mellon Asset Servicing. 15th May 2018. Christopher has secured funds exceeding £4m for research, teaching and knowledge transfer initiatives and has founded and led a series of highly successful initiatives at UCL and elsewhere. For example, both the UCL Financial Computing MSc Programme and the Thomson-Reuters Laboratory at UCL were founded in partnership with Credit Suisse, Goldman Sachs, Merrill Lynch, Morgan Stanley and Reuters (with RBS later also joining as a strategic partner). He is an expert on Intelligent Systems and their application in Finance, with particular expertise in evolutionary computation and agent-based modelling, and he is regularly invited to chair and talk at both industry and academic international conferences. His current work models and analyses financial market instability emerging from interactions between computer trading algorithms. Adaptive non-linear factor models for automated stock selection (consultancy to several investment funds). Smart Contract Templates: foundations, design landscape and research directions, 2016, arXiv preprint arXiv:1608.00771. Smart Contract Templates:legal semantics and code validation, 2018, Journal of Digital Banking 2(4). Design Discussion on the ISDA Common Domain Model, To apppear: Journal of Digital Banking. Temporal Aspects of Smart Contracts for Financial Derivatives, 2018, Submitted to ISOLA. Robustness of multiple objective GP stock-picking in unstable financial markets: real-world applications track, 2009. A survey of attacks on Ethereum smart contracts. High frequency trading-bugs, glitches, false liquidity and open warfare, 2011. Identifying multi-level emergent behaviors in agent-directed simulations using complex event type specifications, 2010, Simulation.